Motorboat: Built in 1917 as Herreshoff 320 by the Herreshoff Manufacturing Co., Bristol, CT; Renamed War Bug; Acquired by the Navy 6 November 1917; Commissioned USS War Bug (SP 1795), 17 November 1917; Decommissioned, 28 December 1918; Sold, 30 June 1919. Fate unknown. Specifications: Displacement 28.89 (gross) t.; Length 62' 4"; Beam 10' 11"; Draft 2' 9" (mean); Speed 20 kts. ; Complement nine; Armament one 1-pounder. 82k In port, circa 1917-1919. 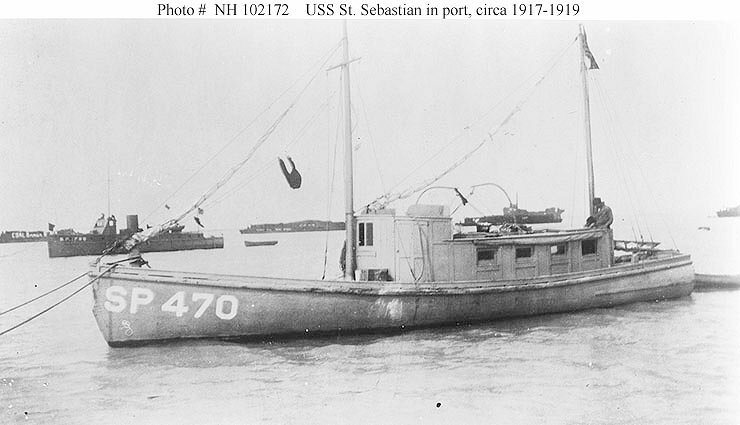 95k In port, circa 1917-1919. 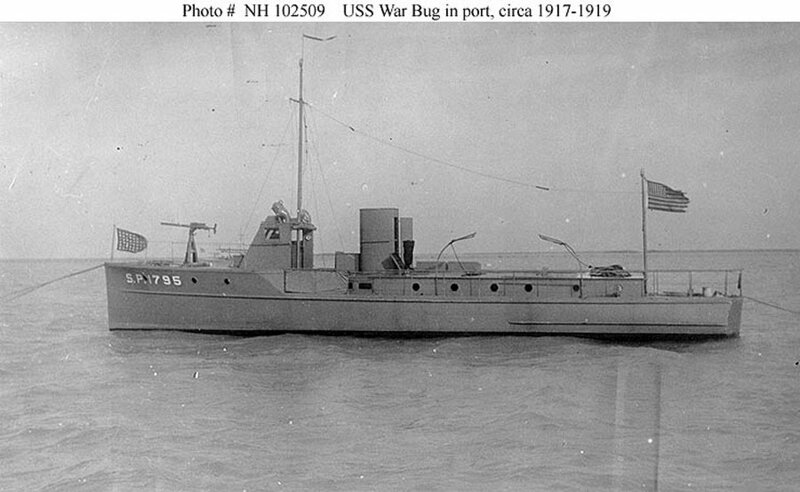 Dictionary of American Naval Fighting Ships History: War Bug--a wooden-hulled motor boat completed in 1917 at Bristol, R.I., by the Herreshoff Manufacturing Co.--was purchased by the Navy from Felix Warburg of New York City on 6 November 1917. 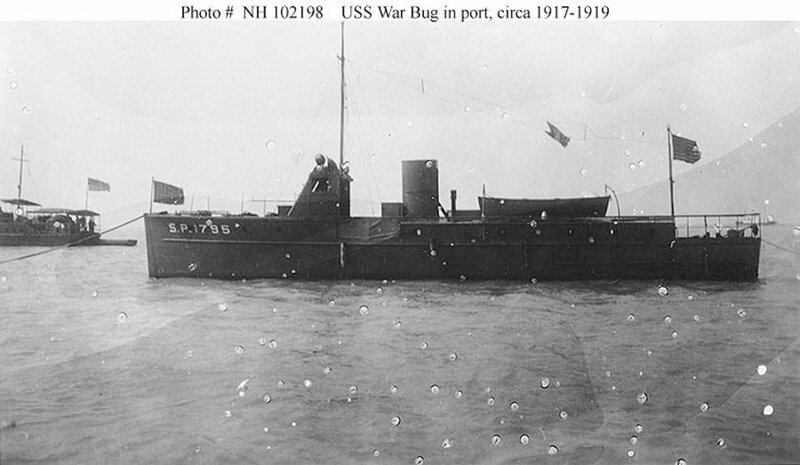 Designated SP-1795 and commissioned on 17 November 1917, War Bug was assigned to the 1st Naval District and served in waters near Boston through the end of World War I. Decommissioned on 28 December 1918, she was sold on 30 June 1919 to E. Atkins and Co., of Boston.